Insulates and protects against noise nuisance! 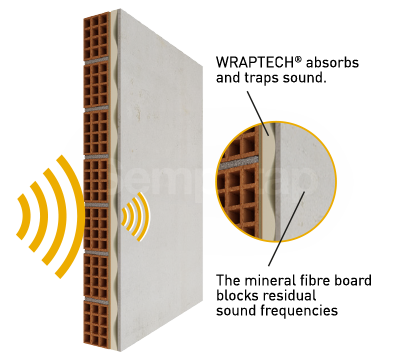 The SempaPhon® ISO anti-noise barrier® stops sound spreading from room to room, or to the surrounding area. 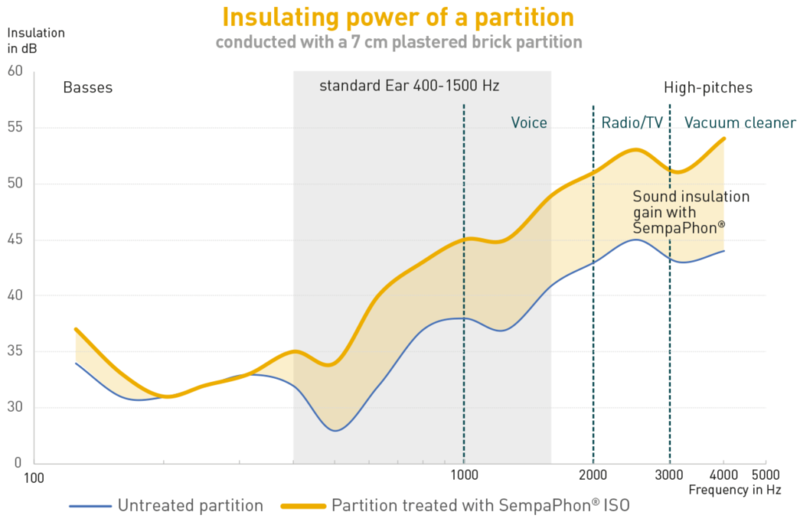 The Mass-Spring-Mass (MSM) de SempaPhon® physical principle used by SempaPhon® ISO provides exceptional sound insulation. As you may have noticed, Sempatap product names have changed. Find the matches between the old and new. Assembly of a non-woven component on fibreglass imbibed with SBR Wraptech® latex foam, with a mineral fibre board. 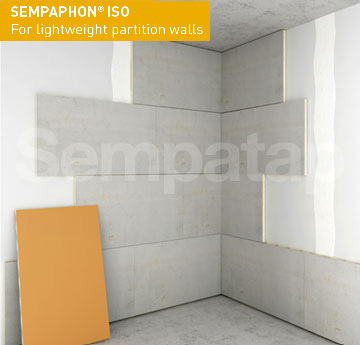 Perfect for use on walls to renovate a light partition. Special adhesives, potential painting, joins, dealing with corners, recommended tools... all the information you need to successfully apply and finish your product. Please also pay attention to the actions to avoid. Do you have an insulation or renovation project? Sempatap is here to help!